If you don’t have a Google account (ie. 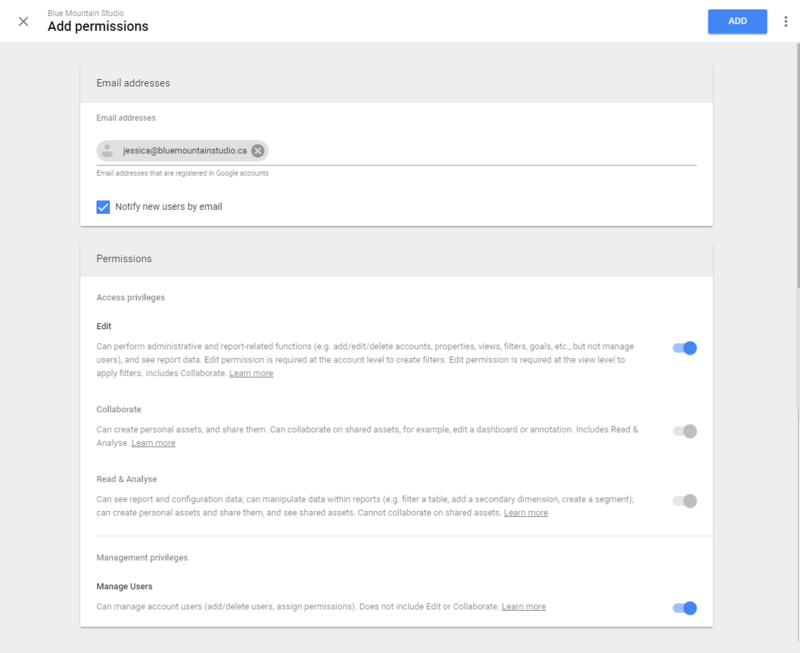 Gmail or G Suite), create one here. Sign into Google Analytics using your Google account here. Enter a name for your account (your name or your company’s name are good choices). If you see a green lock icon with https://, then select https://. Otherwise, select http://. If you’re not already signed into your Google Analytics account, sign in using your Google account here. 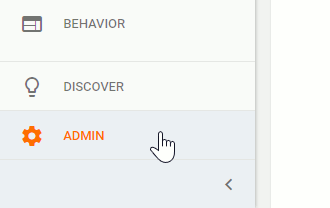 Under “Account”, make sure the new Google Analytics account is selected. Check the box next to “Notify this user by email”. Under Permissions, turn on all the permissions you wish to grant this person. You can read more about what each permission means here. We ask our clients to grant us all permissions, so that we can access all the functions we need to effectively optimize their websites. Click the “Add” button to grant them access.